Having spent 38 years in the construction business, Bill Smith of Fort Worth, TX decided the time had come to build something for himself and the community. Located in Ft. Worth’s historic near south side, The Live Oak Music Hall & Lounge is an architecturally historic Lions Club that Smith gutted and redesigned. Beyond the actual price, The Live Oak and Electro Acoustics found the PRO2 saved money in other ways. 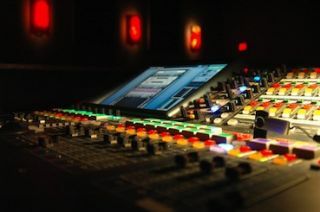 The console’s EQ and effects engines eliminated the need for outboard gear, while the Cat5 fiber connectivity meant no bulky copper snakes, even with the DL251 I/O box located onstage. With room for about 200 patrons seated or 500 standing, The Live Oak features both local and national artists, with the added attractions of a high-end restaurant and a bar featuring over 200 beers. In addition to the main music hall, the venue also boasts a lounge with live music, plus both street-level and rooftop outdoor patios. Since its June 15 opening, the venue has hosted such artists as John Oates (of Hall and Oates), Iris Dement, The Vespers, and Jim Lauderdale.